This novel gripped me from the very beginning. 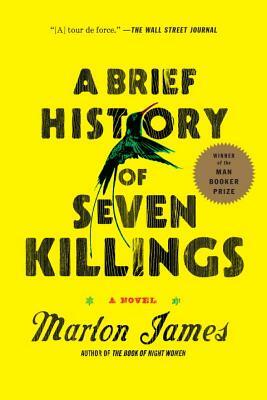 Chaos, drugs, and gang violence rule this depiction of Jamaica in the 70's, with little room to breathe. It's narrated by dozens of different characters, each with their own unique voice (a similar narrative style to Savage Detectives, one of my favorite books), many speaking in various degrees of Jamaican Patois. It has an epic feel to it as well, with violence reaching monumental crescendos and falling away through the decades in which the novel takes place, as the characters struggle for survival both inside and out. It's certainly a side of Jamaica most have never realized existed.